Mould in the home arises from dampness, predominantly caused by CONDENSATION. Condensation occurs where warm moist air is generated in living areas and then condenses out on any cold surfaces in the house. Anywhere condensation can form, mould will follow. Small black specks slowly develop on walls and ceilings, behind furniture, in bathrooms and kitchens. Not only does it look bad there is debate about the effects on health. 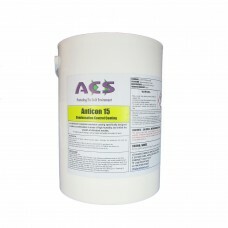 ACS products will kill and prevent the mould re-growth. If you use a tumble drier, make sure it is vented to the outside or that it is the new condensing type. Avoid drying clothes on radiator. Ventilation – use of passive ventilators, mechanical extraction fans, heat recovery and positive induced ventilation systems. Insulation – loft and wall insulation to give warmer surfaces. Heating – improve or change the use of heating systems to have a medium to low level of heat throughout the house. Redecoration – use our 2 part system. 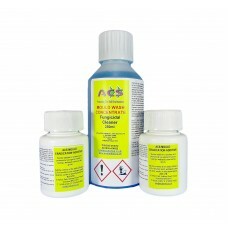 First clean effected areas with ACS Mould Wash Concentrate then re-decorate with our ACS Anti Mould Paint. 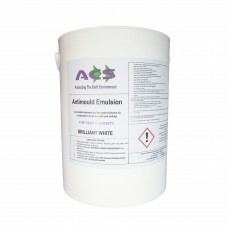 ACS ANTI-CONDENSATION PAINT A single-pack advanced waterborne, condensation control coating bas..